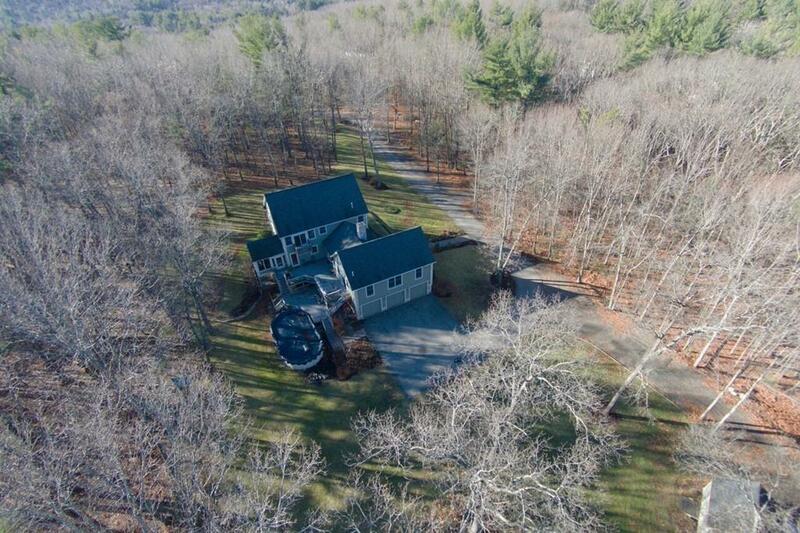 Beautiful Colonial style home surrounded by 14 Acres of land with matured trees and set back off a country road with privacy and serenity. Private trails for horseback riding to explore and enjoy equestrian activities. This custom home offers amazing space inside and out with 13 rooms, a three bay garage, full basement and an oversize deck and pool. The interior has two stone faced fireplaces, beautiful wood floors, open concept, vaulted ceilings, recessed lighting; granite and stainless steel in the kitchen. The 35 x 23 foot family room has a large bar with granite counters and is surrounded by stools w/ direct access to deck creating a great atmosphere for entertaining. Relax on the screened porch/sun room and enjoy nature. Lots of flexible space to spread out and accommodate an active lifestyle.